Walford Anglican School for Girls in Adelaide, Australia, has had three big birthdays to celebrate this year—its 125th anniversary, the Old Scholar Association’s Centenary and the IB’s 50th anniversary. To mark these occasions, the school hosted IB Week to highlight approaches to learning (ATL) for its Middle Years Programme (MYP) and Diploma Programme (DP) students. “We ran lots of different activities to celebrate the IB and the skills our students are developing from being an IB learner,” explains Carly Brooks, MYP Coordinator at the school, who organized the week with Mayra Franco, DP Coordinator. The week started with a whole-school assembly led by current DP students that highlighted Walford’s place in the IB network since 2002 and celebrated what it means to be an IB student. 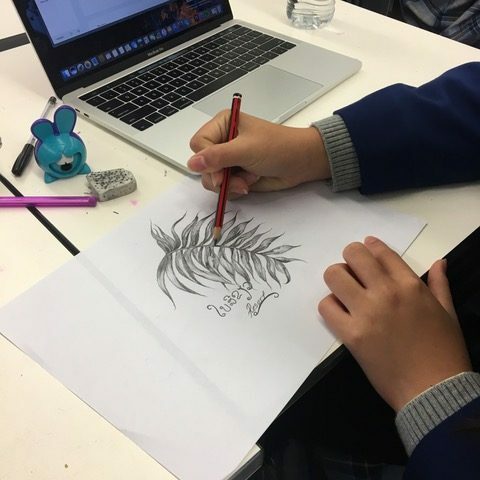 Year 6 students worked with the marketing and communications department of the school and collaborated in teams to design posters about each of the ATL skills (which will be used as promotional materials in MYP classrooms next year). One group also shot a short film about the ATL skills at Walford. 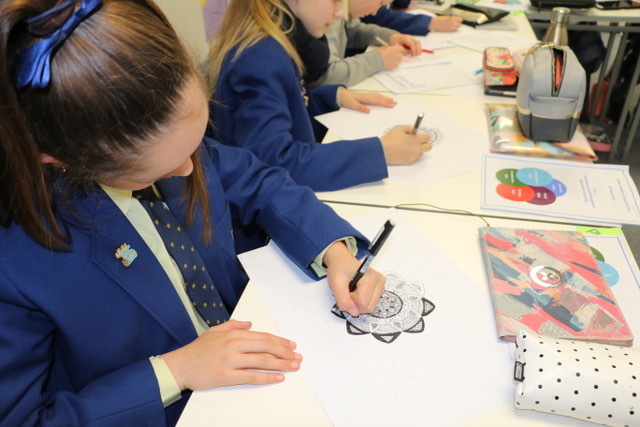 Year 7 students developed their self-management skills. They undertook a session on study skills and time management engaging in team-based problem solving and critical thinking activities. 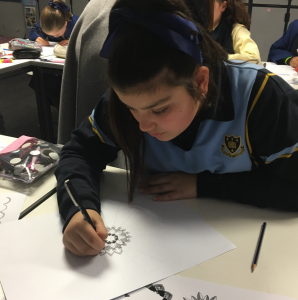 They also worked with a local artist to learn about mindfulness and developed their own mandalas. An excursion to an indoor trampoline and climbing park gave Year 8 students a chance to develop their collaboration skills by participating in a team challenge, navigating a high ropes and rock climbing course. 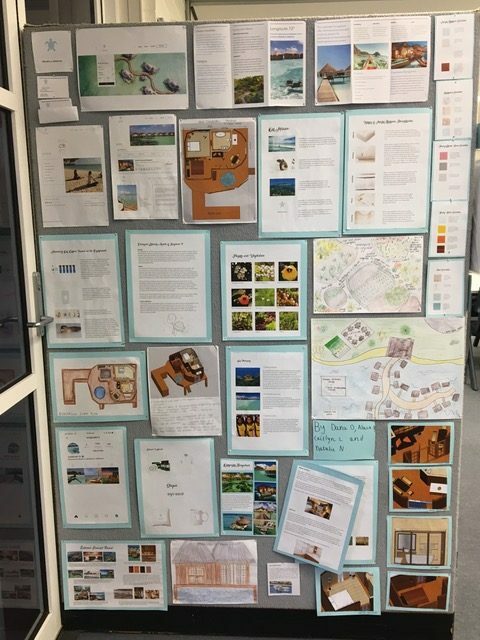 Students in Year 9 participated in an interdisciplinary unit linking geography, mathematics and design. Working in groups to develop their collaboration, critical and creative thinking skills, students designed an eco-friendly tourist resort. Their brief was to plan an accurate floorplan and 3D design of accommodation options, taking into account environmental principles. The students presented their final concept boards to a representative from the building industry for authentic feedback. An ‘escape room’ challenge gave Year 10 students a chance to focus on thinking and communication skills. They worked in teams to solve a number of clues and challenges. “DP students in year 11 were introduced to the Group 4 project and extended essay and participated in a creativity, activity, service (CAS) experience, painting a mural at a local nursing home. The students also participated in a yoga session, providing a focus on wellbeing and affective skills,” said Franco. The week ended with a whole-school Winter House Sport Competition, providing the students with a further opportunity to develop their collaboration and communication skills. “Many of the activities across the week were specifically chosen because they provided a challenge to the students. In this way, the students were able to develop many of the IB learner profile attributes, by being risk-takers, critical thinkers, balanced, reflective and communicators,” said Brooks. 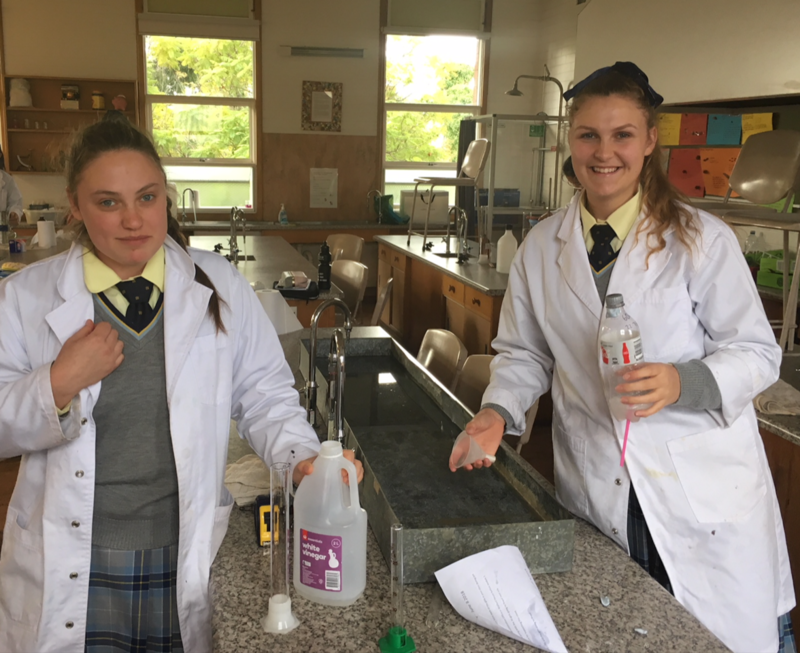 “Post activity-reflection on the week provided students with the opportunity to identify their strengths and weaknesses in relation to the ATL skills,” said Brooks.